Weekday discounts at Oakland Cottage B&B with 2 night stay or longer! Stay at Oakland Cottage B&B two nights or longer on Sunday through Thursday nights for 10% savings off the weekend standard nightly rate. 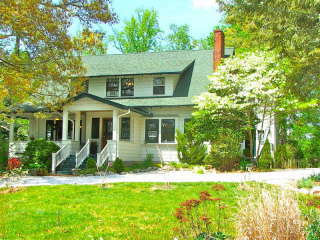 Just one mile from the entrance of the Biltmore Estate and 1.5 miles from the Historic Downtown Asheville area.